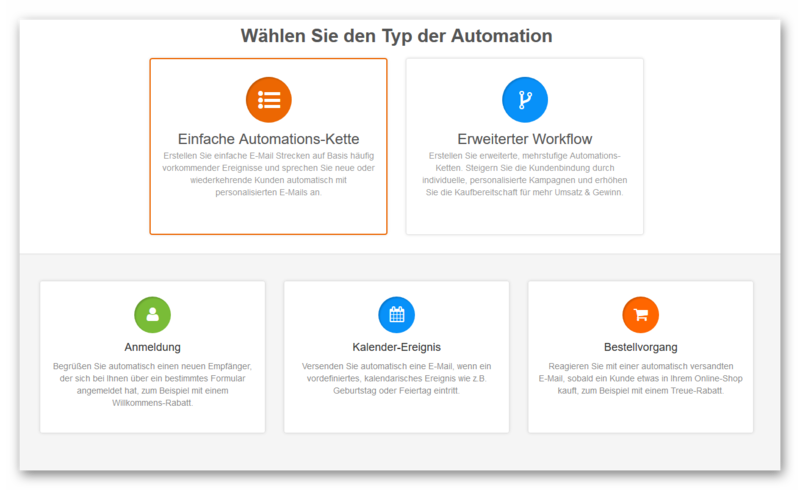 To create a new automation workflow click on[Automation] in your account and then hit [Add Workflow]. Create very simple and straightforward automations with a single-track workflow. These are particularly suitable if you want to automatically send one or more emails to a recipient after their registration. The multi-level workflow offers considerably more possibilities. Create and add filters and queries, determine several starting points, and much more.